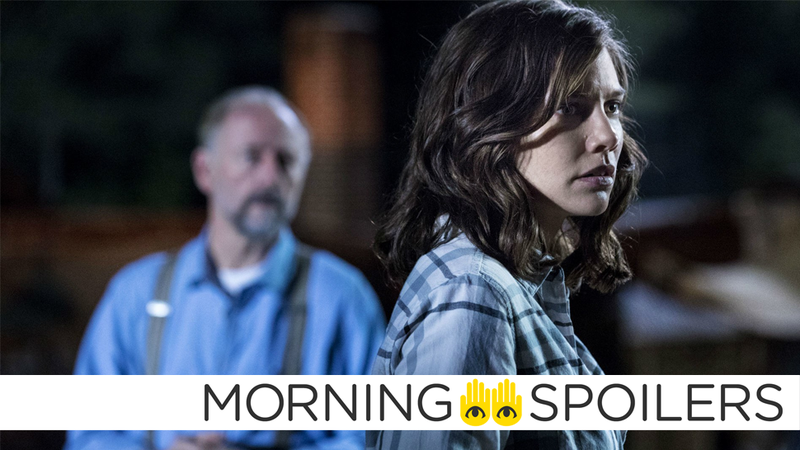 Another departing Walking Dead star could get their own spinoff. Deadline reports Disney is now developing a film adaptation of Polly Shulman’s young adult series, The Grimm Legacy, for Disney+ from screenwriter David Gleeson (Tolkien). Schulman’s series follows the teenage employees of a library in New York City lending out magical artifacts from the Grimm collection. Kryptonite-shaped hunk o’ salt at the ready—a new report from Revenge of the Fans alleges that Henry Cavill now demands both director and script approval before agreeing to make any future Superman movies. Speaking with Collider, Joe Russo revealed Endgame’s three-hour runtime is “testing great” with audiences. We’re still at the three-hour mark. John Boyega recently shared a still from Attack the Block on Instagram and commented, “If the supporters want it then I’ll have to get back to Peckham ASAP”. Director Nicolas Piece compared his reboot of The Grudge to David Fincher’s Seven in a new interview with Entertainment Weekly. Those movies will always exist and always be there for you to watch. I think that horror audiences these days are looking for a much more grounded, much more realistic, much more character-driven story in their horror movies. We see what’s doing well now and it is these kind of smarter, more nuanced horror stories, and that’s what this is going to be. We’re trying to update it for contemporary sensibilities, and we have an unbelievable cast, and I think it’s going to be something very different. There’s a thousand Grudge movies out there, and we wanted to figure out a way to kind of put a new, fresh spin on it, and it’s going to be exciting. The movie is set up a lot more like Seven, that sort of movie. There’s a cop drama that drives the whole thing, and Andrea [Riseborough] is the lead detective on this new case that they’ve come upon, and is the driving force through the movie. She’s incredible. She’s in absolutely everything and, when you see her act, you know why. During the Legion panel at the Television Critics Association, producer Lauren Shuler Donner stated she’d “hate to see” the X-Men spinoff “thrown at Hulu,” as has been rumored amidst the Disney-Fox merger. [The production team] worked hard on it. I want to see it released [theatrically], I’d hate to see it thrown at Hulu. The DisInsider has the latest international poster. King of the Monsters has released four new posters in honor of the Chinese New Year. UglyDolls takes a page from The Garbage Pail Kids Movie in the latest trailer. We also have footage from Little Monsters, the horror-comedy starring Lupita N’Yongo, Josh Gad and Alexander England concerning a love triangle between a schoolteacher, the world’s most famous children’s television entertainer and a chaperone on a kindergarten field trip who find themselves in the middle of a zombie outbreak. In a recent interview with THR, Lauren Cohan revealed a Maggie-centric spinoff series is currently under consideration at AMC. There may have been some conversations, but everything is so early-days ambiguous. Me, as much as anybody, we’ll have to see what happens. Speaking at the Television Critics Association, ABC President Karey Burke revealed she’s keen to reboot two separate J.J. Abrams-associated series—Lost and Alias—but no plans are actually in the works just yet. It’s literally at this point just what I dream about when I go to bed at night. I have not spoken to [executive producers] Carlton [Cuse] or J.J. [Abrams] or ABC Studios about it. But I do often get asked the question what show would I reboot and often my answer is Lost — sometimes Alias. Nothing to report yet. Maybe ever. But it would be a fun thing to have a conversation about. Entertainment Weekly reports the Game of Thrones prequel series begins filming this summer. A new poster from Screen Rant reveals Cloak & Dagger returns April 4 with a two-hour season premiere. Matt Bomer’s Negative Man gets his own Doom Patrol teaser. Finally, Nora is caught in a time loop in the trailer for “Cause and XS,” next Tuesday’s episode of The Flash, directed by Rachel Talalay.